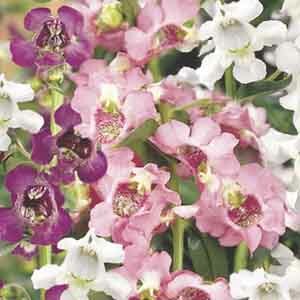 This South African native is the perfect choice for hot, dry locations everywhere. 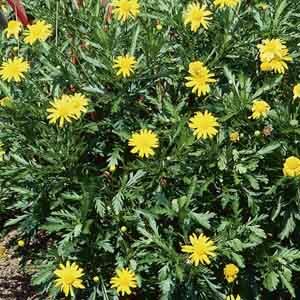 This is a fast grower, with a dense, shrubby habit and an abundance of bright daisy flowers over a long season. 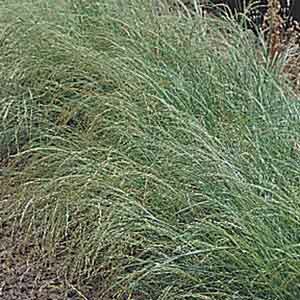 Grown as a perennial in frost-free climates. 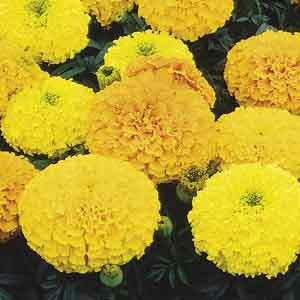 African Marigolds sport large blooms and sunny bright colors. 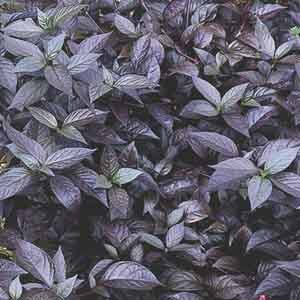 Their texture is the perfect compliment to broad leaf and trailing companion plants. 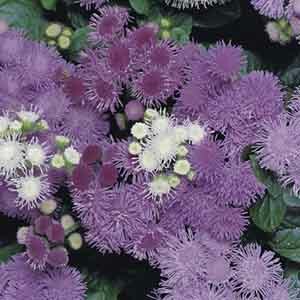 Removing spent blooms will assure the most prolific flowering. 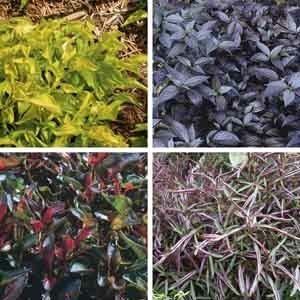 Easy-care plants add a tropical touch to the landscape. 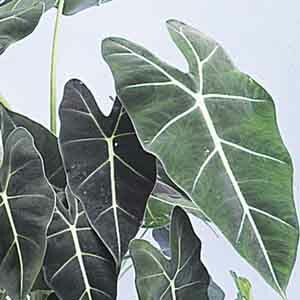 Worth growing for beautiful foliage alone. Boldly accents other selections. 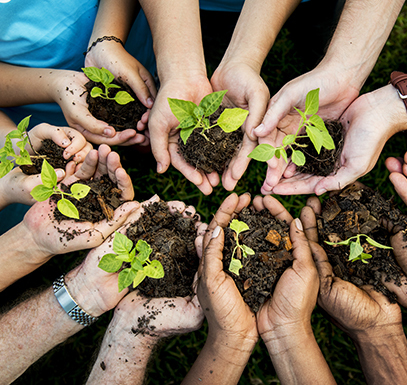 These unique plants are sure to attract attention! 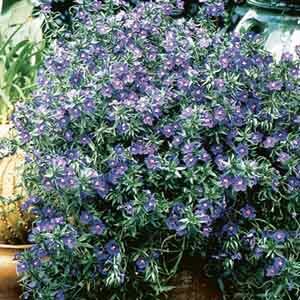 A non-stop display of starry blue flowers through the growing season. 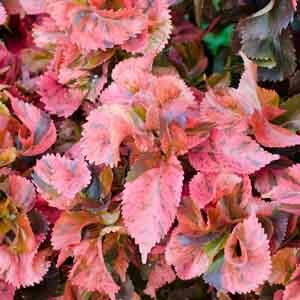 This Mediterranean native has a low, trailing habit that is ideal for cascading over a wall, draping from a mixed container planting, or carpeting a garden bed.